Whether it is your first home or you fifth, our Buyer’s Agents will be here to answer your questions. For those of you who are just starting to consider home buying, here are some frequently asked questions from our clients. Feel free to give us a call with any others you may have! When do I get an agent? As soon as you decide to start looking at homes! We often work with buyers for extended periods of time as they look in different areas and get ready to purchase a home. Enlisting a Buyer’s Agent to guide you through the process brings focus to your search quickly and protects you becoming overwhelmed by the market. When purchasing a home, especially your first, it is worth your time to have a buyer’s consultation with us to learn about the process as well as expenses involved in buying a home. We often have clients that comment about how little they knew about buying a home before beginning to work with us and we simply remind them that this is what we do every day. Few people outside of the real estate profession truly understand the ins and outs of purchasing. 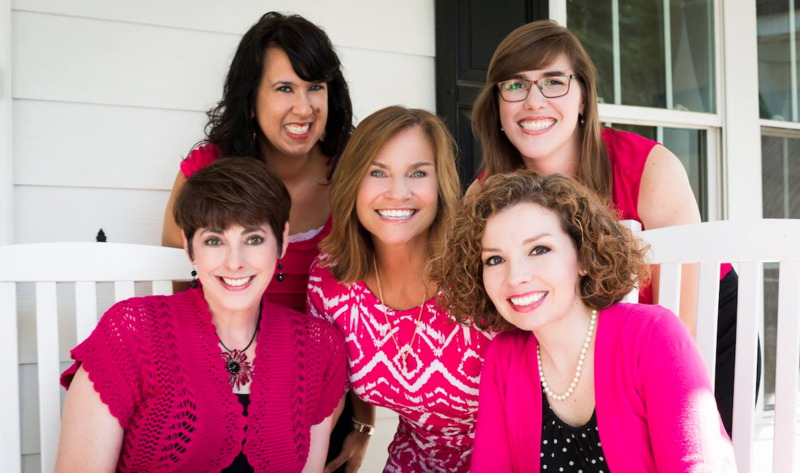 We are real estate professionals, so give us a call and schedule your free consultation ASAP! One of the great things about working with a Buyer’s Agent in South Carolina is that our commission is generally paid by the seller! We meet with you, research homes, show you homes, negotiate contracts, coordinate vendors, negotiate repair addendums, coordinate lenders with attorneys, and get you through closing all at no cost to you. What should I research when I start looking? Some things to consider are your needs and wants in a home. For example, you may need three bedrooms for your growing family and want a bonus room for storage, office space, or a man cave. You also should consider the different areas available. You will need a Buyer’s Agent to research property values and pricing for you. If safety is a concern to you, visit the Sheriff’s department website and look at the crime statistics for the area you are interested in. For resale, you should consider the schools in the area and how busy the roads are. “But I’m going to live in this house forever!” Even though you might believe that with all your heart, life will certainly bring different seasons that may require you to sell your home such as downsizing to a smaller home for retirement. That is why it is important to consider the long-term values of an area when purchasing a home. Another item to consider are neighborhood restrictions. Perhaps you have a childhood dream of owning a home and raising chickens in the backyard. This will affect what areas you can purchase in as some neighborhoods have restrictions against livestock. What should I look for as I drive through the neighborhood? When considering a neighborhood, it is wise to drive through on different days and at different times to get a good sense of the area. First, we encourage you to drive through in the evening to get a feel for the neighborhood after work hours, especially after dark. Another good time is a Saturday mid-morning. This will give you an idea of how many people are out in their yards or using their pools. Do you see people walking their dogs or running? This should give you an idea of how comfortable they feel in the neighborhood. We had one client that took things a step further and would wave to people as they drove through the neighborhood. If no one waved back, they took that area off their list. When driving through, look at the yards and streets, consider how well kept they are and whether your potential neighbors take pride in their homes. Drive through during high traffic times to see if your commute is really what you think it will be so that you are not surprised after closing. Houses have a no-return policy! What type of financing do I qualify for? When do I get pre-qualified? 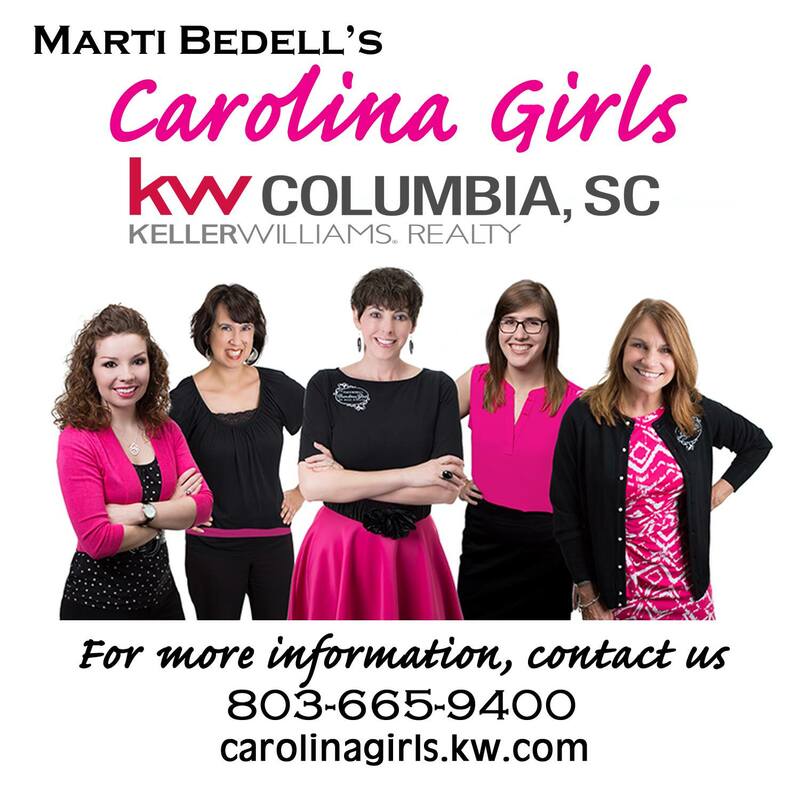 When you first get in touch with your Carolina Girls Buyer’s Agent, we will advise you to speak with our local lenders to start your pre-approval process. . It tells you what your purchase power is and begins a conversation with the lender so that you can find out about rates, monthly payments, and any programs that you may qualify for. This results in a pre-qualification letter that shows the sellers of any home you submit an offer on that you are able to purchase it. When speaking with the lenders, we always advise that you ask them what a mortgage payment looks like at some of the price points that you qualify for. Alternatively, if you have already looked at your budget and know the maximum amount that you are willing and able to pay per month, ask what this looks like in a purchase price. The biggest take away here is to make sure you are buying based on your budget! Many of us qualify for significantly more than we are able to pay per month. If you do not research this ahead of time, you may end up with a house and zero vacations for the next 30 years! Local lender shopping. It is very reasonable to talk with a couple of different lenders to see what rates they can give you. We often advise that you speak with Lender A then go to Lender B and share what rate you were given, then ask if they can beat it. The bottom line is that local lenders that are in control of their companies can typically beat any rates by other lending institutions. When buying a home costs may include a down payment, lending and legal fees, an appraisal, inspections, and any other items that you may choose to do. There was a time that down payments were as high as 20%, however these days we have seen loan programs with as low as 3% down and some government loans with 0% down. Lending and legal fees are part of your closing costs and are paid when you close on the home. These vary depending on the price of the home and the vendors you choose. In the majority of home sales, an appraisal is required to verify the value of the property. This is an expense for the buyer and varies based on your lender. Inspections are not always required for your loan, however they are highly recommended. Having an inspection before purchasing allows you to get a full idea of what you are buying. There are no returns in real estate. We find that inspections are typically around $500 depending on the vendors you are using. Your down payment depends on many factors. The first is which loan option you are pursuing. There are different types of government loans such as VA and FHA that are available with 0% down payment for your home. While that may sound like a bargain, keep in mind that with an FHA loan you will be paying a Mortgage Insurance Premium for the life of the loan. This means that less of what you pay each month goes towards lowering your principle balance. With a conventional loan, there are options available to put down as little as 3%, depending on your lender. The bottom line is that you should have a conversation with your lender about what option works best for you and to be aware that 20% down is not the only option. Can I get a mortgage if I have a student loan? Yes! To get the specifics on options you will need to speak with a lender. People with student loans may qualify for a mortgage, especially if they have a history of making payments on time. Consider debt you have from credit cards or car loans and begin to pay these off to minimize your debt-to-income ratio. When you speak with one of our lenders, do not be discouraged if they say that you do not qualify yet. Ask them what you can do to become eligible and then let us know how we can encourage you through the process! What are the best ways to negotiate? Negotiating the terms of your sales contract is a delicate process. One of the most important steps is to have an agent involved that is representing your best interests. When you find the home that you want to purchase, you more than likely will become emotionally invested. Have an agent represent brings accurate perspective throughout negotiations and gives you an advantage from an expert in the field. As a buyer in South Carolina you have many rights in a real estate transaction. The big three that we remind buyers of is that you have the right to choose you attorney, choose your lender, and have as many inspections and re-inspections as you would like while under contract. What protects me in the contract? There are three contingencies that protect you in the contract. The first is the financing contingency. This contingency states that your obligation to the contract depends on you getting financing. This contingency does expire 5 business days before closing, so you want to have a dependable lender and provide all the necessary paperwork to avoid any issues. The second contingency is the appraisal. This contingency states that if the appraised value of the property comes back lower than the sales price, you no longer are obligated to buy the home. Typically, we negotiate with the sellers to see if a new agreement can be reached as the bank will only loan you the amount of the appraisal. The last contingency is inspections. The Due Diligence period gives 10 business days for you to complete inspections and decide if you want to continue with the house or be released from the contract. Once under contract, we have 10 business days to complete any and all inspections you choose to do. If the results of those inspections cause you to no longer want the home, we are able to leave the contract at no penalty to you. You can also request that the seller repair certain items before closing. If, however, you choose to forego inspections and discover issues after you own the home, all the responsibility for repairs falls on you. When do I buy furniture? Say it with me, “I can buy all the furniture I want AFTER closing”. Yes this includes layaway items. When we write an offer with you one of the sections we strongly emphasize is if you make a material change that causes you to be ineligible for the loan, you have defaulted on the contract. A material change can be anything from making a large purchase to closing out credit cards. So consider, is that one of a kind zebra striped, chaise lounge worth losing a house over? Probably not. Are you planning on having a house warming party the week you move in and concerned about not having enough furniture? Tell your guests that it is BYOC (bring your own chair), and maybe some of them will even leave a chair behind for you! I have the keys, now what? Change the locks: Unless you are buying new construction that allows you to rekey the locks, you will never know for sure if you have all the keys. You are highly advised to change or rekey all of your locks, especially if the property has had renters or contractors in and out of it. Termite Bond: Hopefully the home you have purchased has a termite bond in place. If so, give the company a call to let them know that you are the new owner of the home. There may be a transfer fee to put the bond in your name and more than likely, is a yearly fee when they come to check the property. Termite bonds are very important in a climate like ours with hot, rainy summers. In the long run, it should save you money to maintain a termite bond than to pay for extensive repairs from termite damage. Taxes: This is something that the attorney and your Buyer Agent will have gone over at closing, hopefully frightening you into following through. About 60 days out from closing it is time to go to the county assessors office for your county and let them know that you are occupying the home. Otherwise, you very well may end up paying triple the taxes as they assume that you are renting the property instead. Remember that home inspection? There is a chance that when you purchased your home, you had a home inspection with a few items left that need to be addressed. Make this your weekend to do list over the next several months. If it requires a professional, go ahead and get quotes for the work and begin planning these into your budget. This will make you proactive with your home rather than reactive if these items are forgotten and become worse. Need a vendor? Give us a call! We have a database of trusted vendors we can recommend. House Binder: Whether on paper or electronic, have a handy folder of your homes information. This may include records of any services done to your home, improvements or upgrades you do over the years, copies of papers from closing, surveys, taxes, and more. This will allow you quick access and when you are ready to sell and will save you the hassle of looking for these necessary items. That’s a wrap on our frequently asked questions. Call today with any others you have or to schedule you free Buyer Consultation!